Our animals have fun all year round. Here are some special holiday events that our family has attended. Call to bring our friends to your holiday. 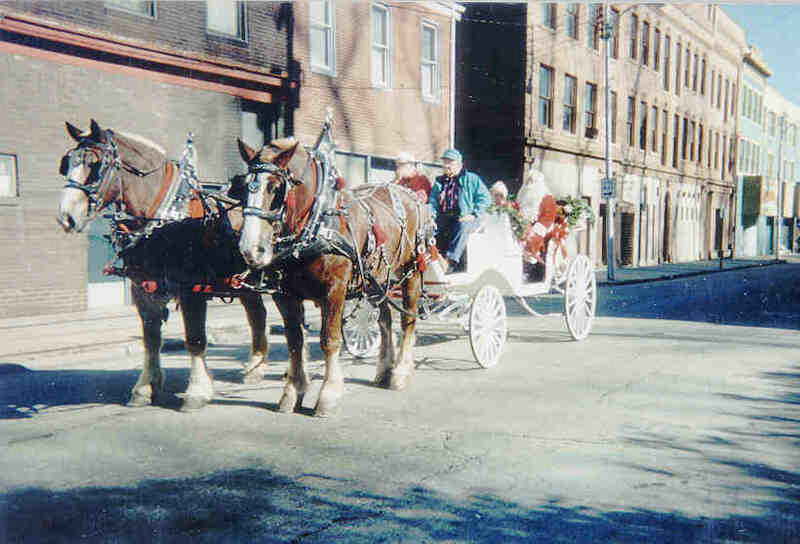 Each year our donkey carries a very special lady through town looking for room in the Inn. 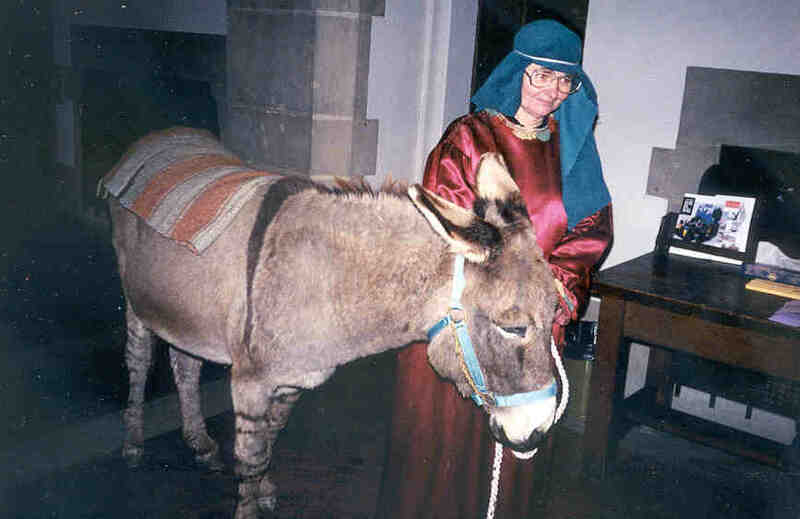 Celebrate the journey to Bethlehem with your own donkey. Our donkey joins his friends in the live nativity at many local churches. Come celebrate the fourth of July with a bang and a ride on the wagonette. All decked out in stars and stripes and ready for the parade route. Our horses love a parade and almost march in time to the bands. 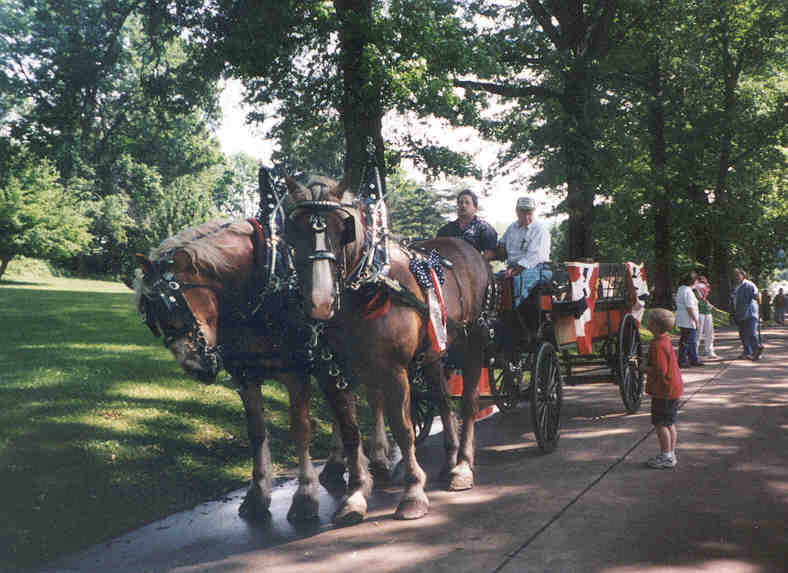 We carry many special people in our wagon. Christmas is no exception. Look who is riding with Mr. Sickle. You better be good.